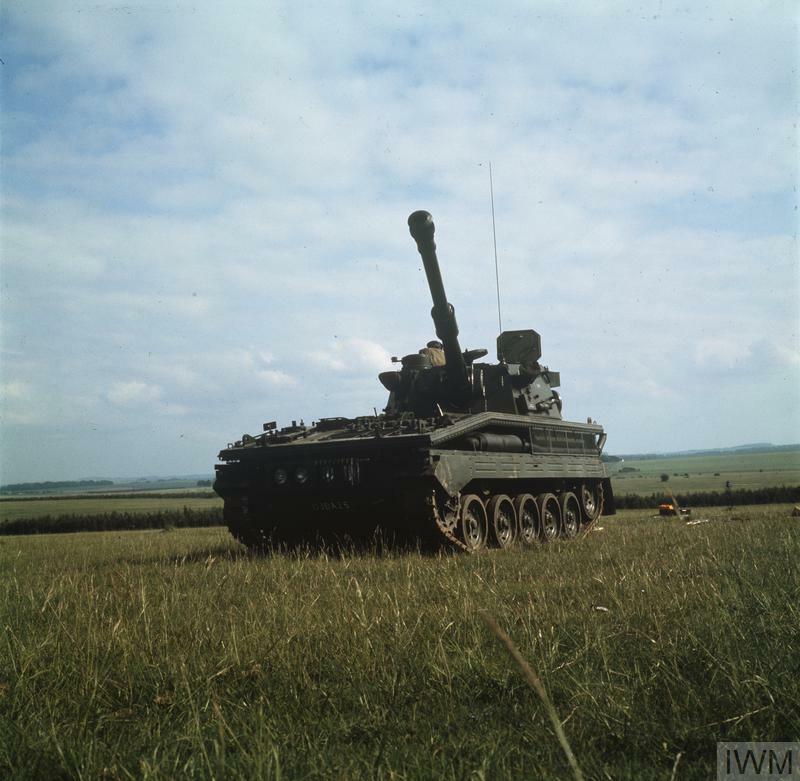 image: A howitzer gun, with the barrel raised for firing, against a pale sky. The gun is in the lower left corner, and is cropped at the edge of the canvas. 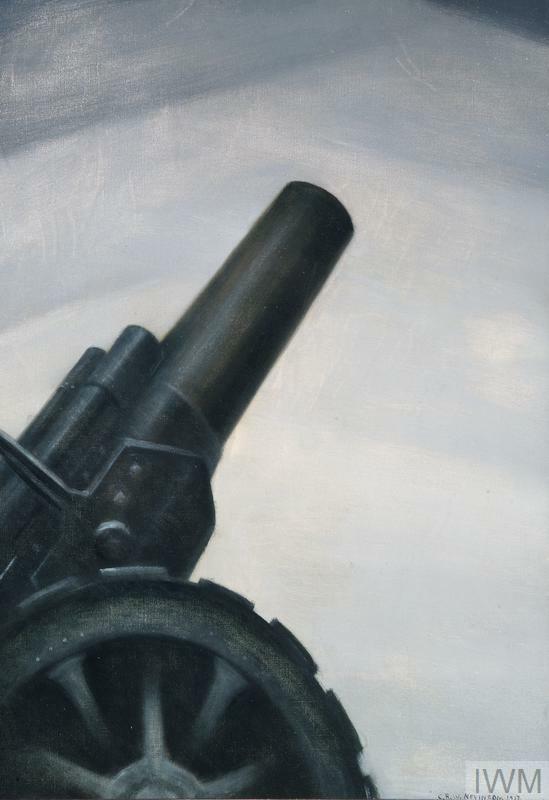 ‘A Howitzer Gun in Elevation’ is similar to the way Nevinson sought to depict ‘the concentrated essence of warfare’ in his earlier work ‘La Mitrailleuse’. Here he acknowledges the machine gun’s principal battlefield accomplice, and agent in changing the nature of modern warfare. His brutal depiction of a British 8-inch howitzer, its sharply angled barrel ready to fire, captures the mechanical-industrial character of the First World War. Possibly influenced by gun elevation scenes from such official films as ‘The Battle of Somme’, this massive engine of war conveys a sense of military and industrial power. The absence of any human form accentuates the weapon’s unchallengeable superiority. 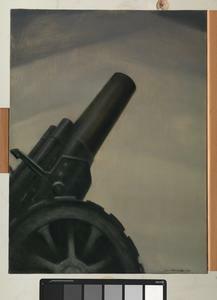 Emblematic of the nature of modern war with its distanced and detached killing, blunt-muzzled versions of this weapon were to re-appear in his later anti-war works, such as ‘The Unending Cult of Human Sacrifice’, 1934. 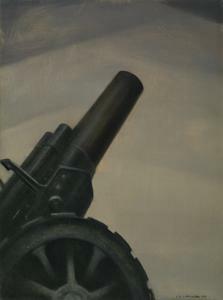 Imperial War Museum purchase according to the terms of Nevinson's commission with the Ministry of Information. Range tables and range and elevation scales for 120 mm B.L. gun Mark D. on Spanish destroyers "Design J"